Food miles: Another tragic aspect of modern life. Last week I had to travel from Merlin in Southern Oregon up to Portland, a round-trip distance of 480 miles. The vast majority of the journey was along Highway I5, most of which is a 2-lane highway, significantly harder driving than a 3 or more laned highway. It was the first time I had driven North along I5 since Jean and I moved to Merlin last October. What staggered me were the huge number of trucks on the highway, many of them food trucks from California and beyond. Also noticed at regular intervals were very large industrial buildings that were described as food distribution centres. 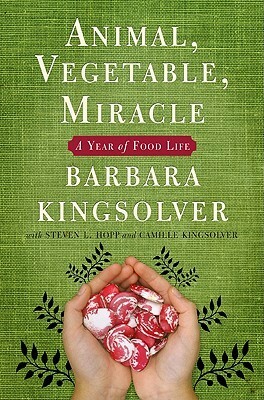 Another connection to today’s reflections is that I am about 50 pages into Barbara Kingsolver’s book Animal, Vegetable, Miracle. The book is the account of Barbara’s family spending a year deliberately eating home-grown and local food. The book’s subtitle is ‘A Year of Food Life‘ and, inevitably, the book has a website here. So the book and the journey to Portland got me thinking about food miles and the huge transport distances of so much of what we eat today. 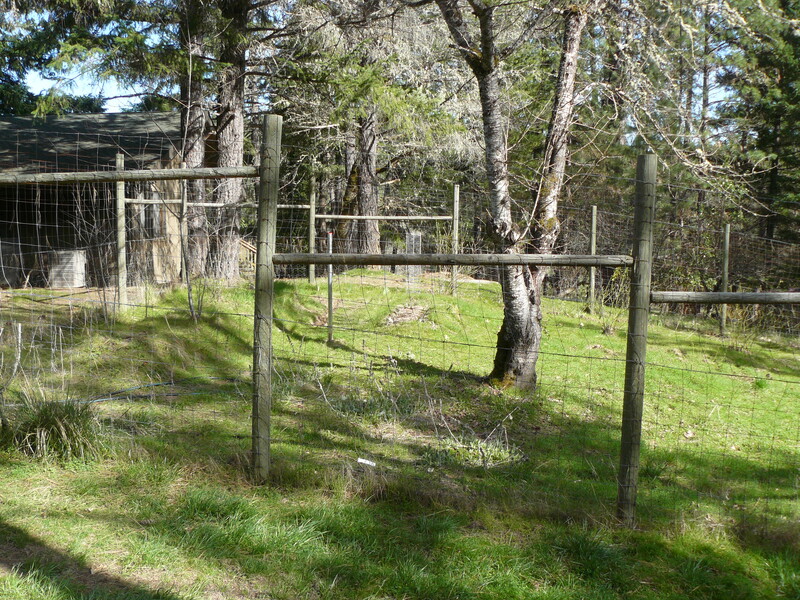 Jean and I were incredibly lucky when we bought this property last year to discover that it had a mature vegetable garden surrounded by a deer-proof fence, as the following photograph partially shows. So even before considering the food miles we are saving from ‘grow-your-own’, we were enthusiastically planting a whole variety of vegetables. 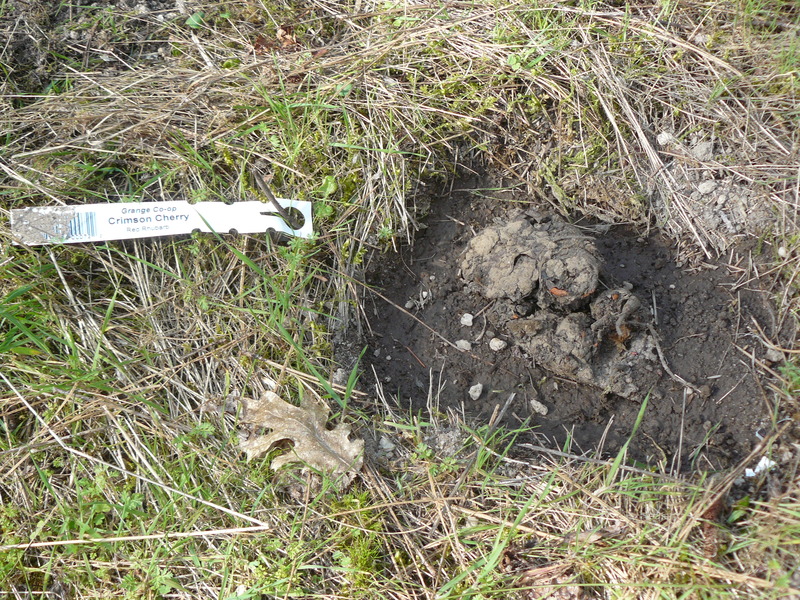 Here’s a rhubarb plant that went in last Saturday. Anyway, I’m rather meandering along – anyone still awake! The whole point of this long introduction is to highlight a fabulous film that we have watched over the weekend. Called Edible City: Grow The Revolution we came across it on Top Documentary Films, great source of films by the way if you don’t know it. Luckily it is on YouTube as well. It’s an inspiring account of what it means for a community to take control of their food, ergo a strong recommendation to watch it in full. If you want a taste of the film (pardon the pun! ), here are two trailers. plus much more information from the film’s website. So why don’t you join the millions of people already buying from their local Farmers’ Market. For the USA you can find your nearest market using this website and for the United Kingdom try the Local Foods website. Not only will it give you access to much healthier food, it is a very practical way of reducing our use of energy. A mathematical approach to the demise of the Neanderthals. It makes sense to grow your own or buy local food. People know where the food comes from and it has not suffered the sort of unhealthy practices that goes on in the distribution process. Jean and I went to our local growers market in Grants Pass and the variety of local foods available was gorgeous. Will take a camera next time and write more. Excellent piece of advocacy for an important issue, Paul. Well done. When I lived in Yorkshire (prior to divorce), we had a third of an acre and grew all kinds of vegetables and soft fruits. We also had apple and pear trees and kept chickens. When we all moved to where we are now, I moved into a first floor apartment with no garden. However, my ex-wife moved into a semi-detached house in an urban area and promptly dug up part of the front garden and turned it into a vegetable patch and now keeps chickens again too. The funny thing is she seems generally sceptical about climate change; so I presume her motivation is personal and/or financial. This is a good example of someone doing the right thing for less-than-ideal reasons. This is something that Greens everywhere need to embrace: It is more important that the right thing be done than that it be done for the right reason (Robert Goodin). Put simply, Green ends justify any means (Neil Carter). Martin, you make some good points. Especially the one about doing the right things now! Chickens are on our list for some point in the coming months. I have been adding more and more to what I grow.. Thanks LBR. Chickens and bees are on our list of ‘wants’. Know nothing about bee-keeping but there is a bee crisis in North America and we would like to make a tiny, positive difference. (and you are very welcome…I don’t get to wander through cyberspace much these days…so when I can I go to ones I know I will smile..or think..or both! 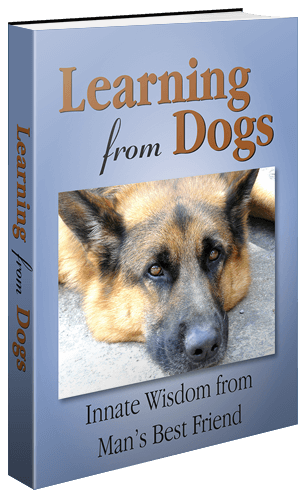 And guess what just came into my ‘in-box’!